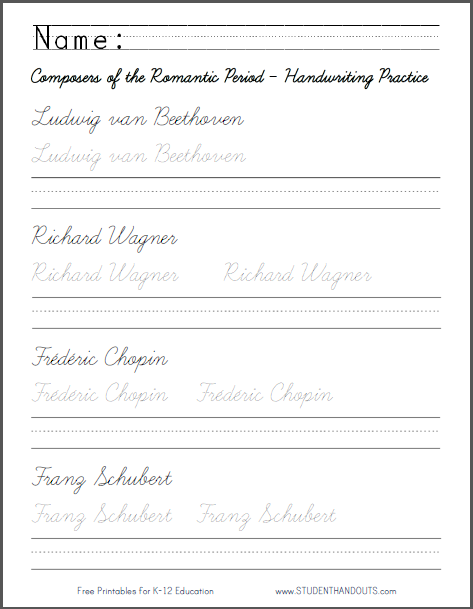 This handwriting practice worksheet features the names of four classical music composers of the Romantic Era: Ludwig van Beethoven, Richard Wagner, Frédéric Chopin, and Franz Schubert. 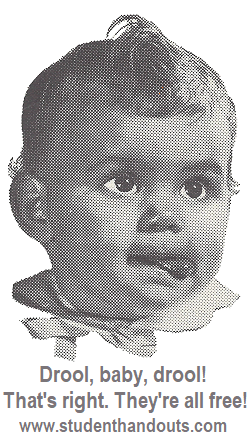 Click here to print this worksheet in print manuscript font. Click here to print this worksheet in cursive script font. Don't forget to check out our selection of free printable handwriting practice worksheets.